Disembark today. 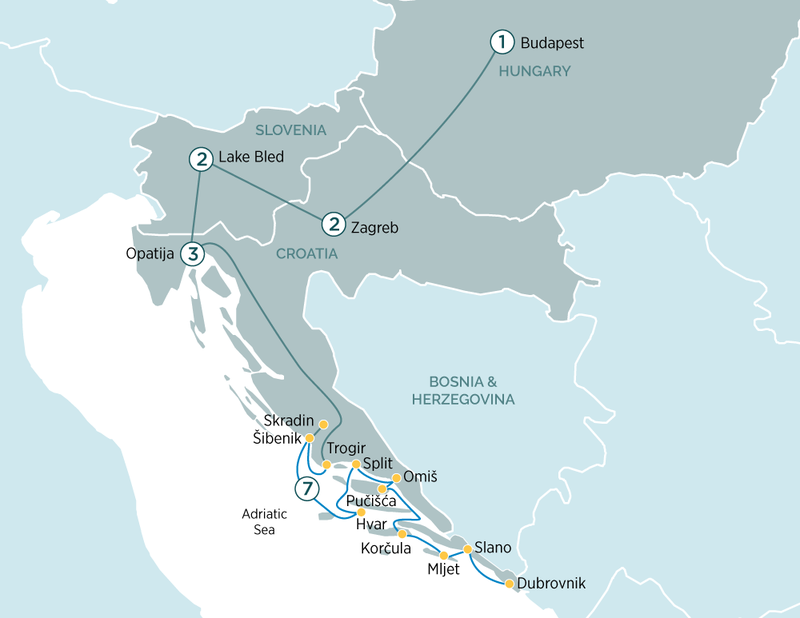 From Trogir, you will be transferred to Opatija for your three-night stay in the coastal town. Today travel to Budapest. Included is an overnight stay.